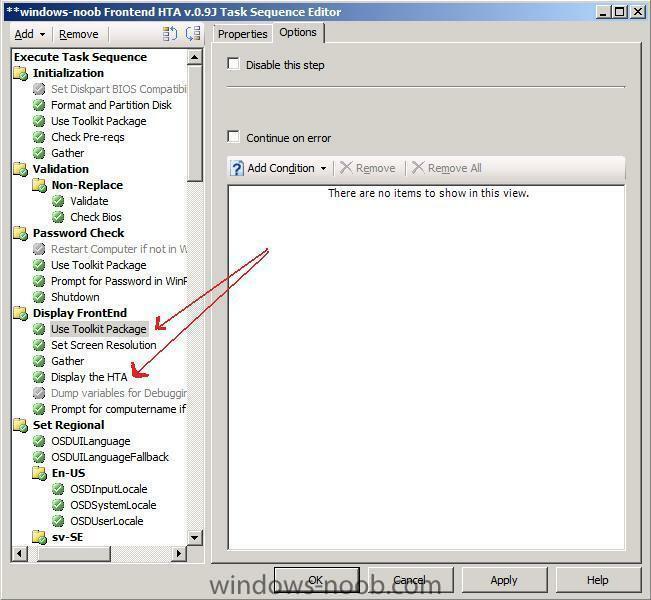 To add your HTA to your task sequence, you'll first need a boot image with HTA support. Once you have that the rest is easy. The mshta.exe file is like a web browser and displays our HTA (hypertext application). you'll notice i'm using a path to our HTA which is "%scriptroot%\wnb\Deploymenu.hta" that is because I place the HTA files in a sub directory of my MDT toolkit scripts directory (MDT Toolkit scripts directory=%scriptroot%). This is not possible without a Use Toolkit Package step shortly before this step otherwise the %scriptroot% variable won't be set, so prior to this in my Task Sequence I have a Use Toolkit Package step. To copy your HTA file(s) to a sub directory in your MDT Toolkit package, locate the package source in ConfigMgr, find the scripts directory and create a new sub directory called My_Custom_Scripts (or whatever you want) which contains your scripts. In my example the sub directory is called wnb and I place my HTA file and all supporting scripts in there. Don't forget to Update your distribution points for your MDT Toolkit package after copying the new scripts/files. I created a Boot image with HTA support, and imported it into SCCM without a problem. I am able to boot from it via PXE and so far so good. If I add the taks to display a HTA (where the user is presented a few options like format C: only or repartition the entire disk), the HTA does run but is not visible to the user behind the keyboard. Pressing F8 and starting taksmgr via the command prompt shows me that mshta.exe is running. when starting the command used in the TS in the command prompt, the HTA gets shown as wanted and expected. 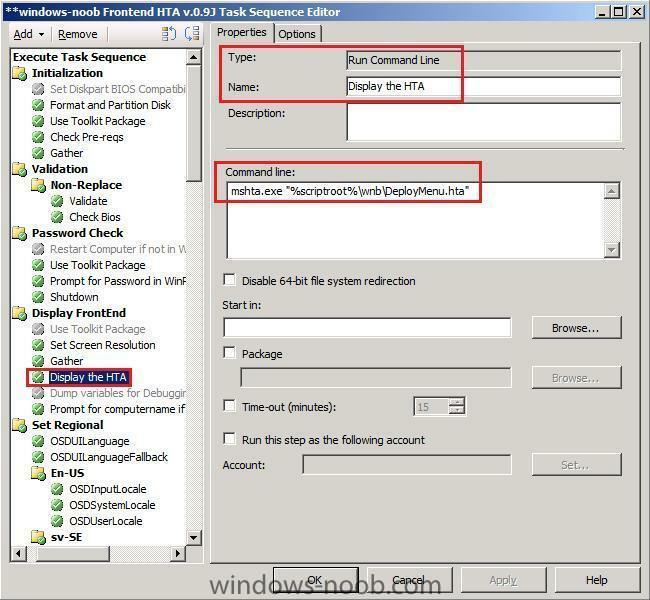 are you trying to launch the HTA in winPE or in Windows ? It is in the PE phase. The HTA sets environment variables. and what's in your Start HTA step ? i see you are not using the mdt toolkit so how are you specifying the path to the actual hta file ? The result is that you see nothing. I copied the HTA to a folder in the root of the WINPE wim file. That is why I called it directly with the command line. I saw the toolkit package step in your tutorial, but have no clue what it does. does %SYSTEMDRIVE%\ = x: ? or c:\ have you checked ? Dont think the toolkit package will make any diffrence in this case (It is basically a collection of script to make it easier to automate some tasks during OSD). I think however that specifying the full path to your HTA might make a difference. Did not check, but presume it will give X: back. And that toolkit package... Think I have to agree with wmmayms. The tools (mshta.exe) and scripts (task24.hta) are already present (included in the WIM). So that's why I am wondering about the why (you included it in the TS). I also looked more then once in the smsts.log. But learned nothing sofar regarding the problem. In your case it makes sense and is the logical thing to do. In my case it could be an option, but this is just as easy (all is included in the WIM). Results in a HTA being displayed. So indeed, the problem was that the HTA could not be found. I'm moving forward to read the variables set and execute steps (or not), depending on their value. 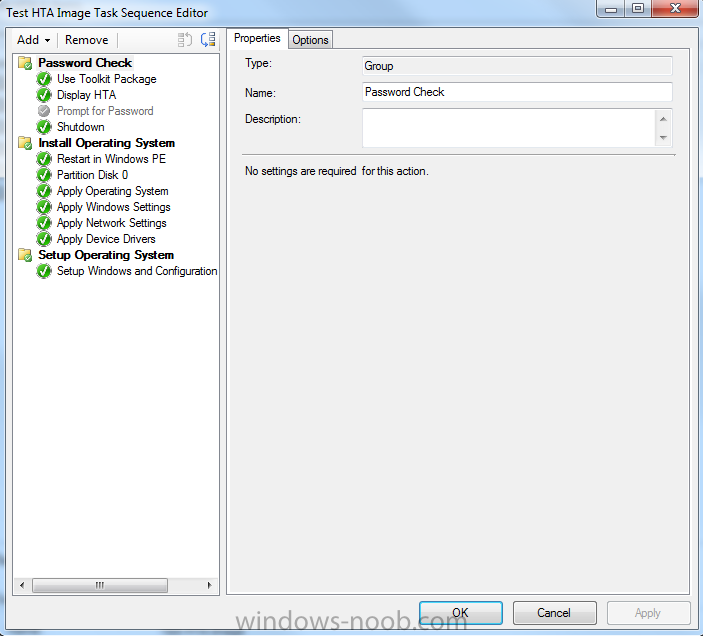 How does one go about allowing the HTA to prompt when running a TS from within Windows? Here is how my TS is configured currently, and when it gets to the "Display HTA" step, it just gets stuck, I'm assuming waiting for user input, but the window does not appear. 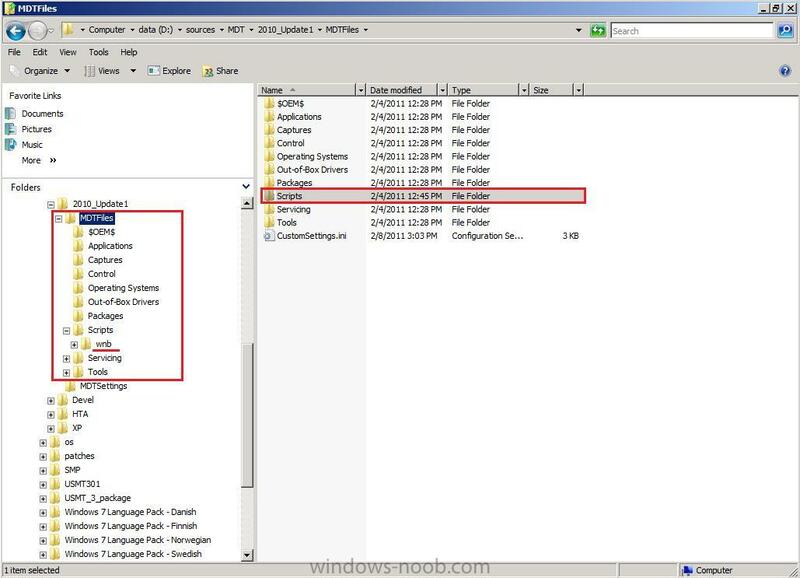 since you are using MDT already put your HTA in the script folder of it. Also after the "use toolkit package" run a gather step (for later use to collect the local data; make your TS dynamic). This will also hide the task sequnce progress as long as the HTA runs. That worked! However, it seems like since we upgraded to SP1, whenever we try to run that TS (which was working) through Software Center, it just sits there. SC says it is downloading, and at about 10% it says installing, but never gets anywhere. Like I said, it was working, and we haven't changed anything, just updated to SP1. I'm having the same issue as Technick. I've followed all the above suggestions and the HTAs will display in PE but they just hang in Software Center. I have not tried it yet from the Software Center after upgrading to SP1. But i'll check this out and report back. Just by the way. You still need this snippet (down there) of script in your HTA. The command i posted just will make sure that the HTA runs in the same context as the progress bar. OK, i have just checked it out and it runs without any problems. Actually the performance has improved by miles compared to RTM. If you run it from the software center, make sure that the HTA is not hidden behind the other windows. So rather set the property to show in the task bar, or use some script to bring it to front.